Congratulations to our Bankers Fidelity Life contest winners. At Bankers Fidelity Life, we believe that great work deserves a great reward. That’s why each year we create a contest that comes with a one-of-a-kind grand prize. 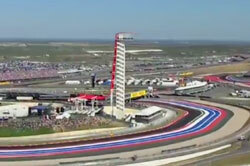 Like this year’s Formula 1 U.S. Grand Prix in Austin, Texas, November 14-18. Each of these agents showed the focus, the drive and endurance to go the distance. Congratulations to all for a job well done!